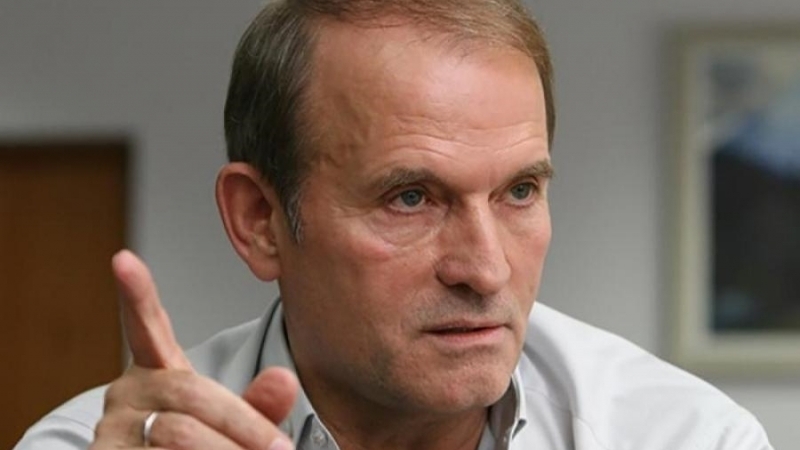 The representative of Ukraine in the Tripartite Contact Group on the Peaceful Settlement of the Situation in Donbas Viktor Medvedchuk in an interview with Deutsche Welle said that he did not consider Russia an aggressor country. The politician also claims that the Russian Federation is not a party to the conflict in the Donbas. It is worth mentioning that during the interview, answering the journalist’s question, Viktor Medvedchuk confirmed that the President of the Russian Federation is a Godfather to his daughter, and the Godmother of the girl is Svetlana Medvedeva, spouse of the Russian Prime Minister. According to him, the war in the east of Ukraine is a civil confrontation. "The conflict in the Donbas is a conflict between people who did not agree with the arrival of the new government and with the politicians of the new government," Medvedchuk said. He noted that Russia, like the OSCE, acts only as an intermediary in resolving the conflict in the Donbas, which is "directly recorded in the Minsk Agreements". A Ukrainian politician, who is Putin's mate, said that there are no Russian troops in the Donbas, which, according to him, is confirmed by the OSCE Special Monitoring Mission, which "never reported the presence of regular detachments of the Russian Federation in a territory beyond Ukraine's control." Medvedchuk did not answer the question of the availability of Russian weapons in the Donbas. Nor is he interested in the question of who finances militants in the Donbas. Earlier Medvedchuk said that Ukraine and Russia could once again conduct a large-scale exchange in the Donbas. The second stage of the exchange will follow the planned exchange by the formula "306 by 74".